Cubi’s son Aslan was on Fire in Perpignan with BOB ❤️❤️❤️!!! 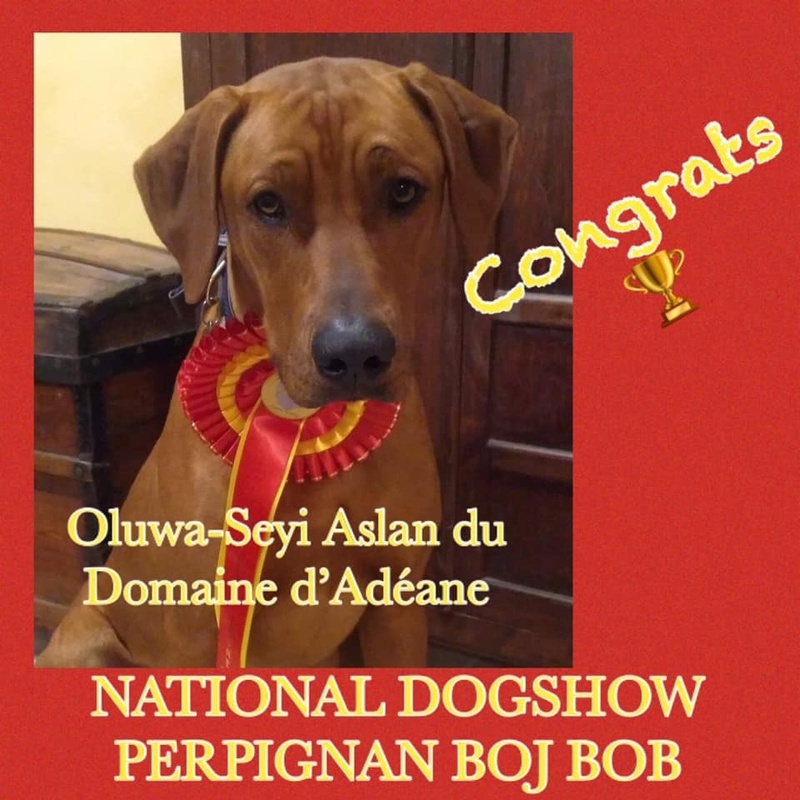 It is with great pride that we learned that Oluwa-Seyi Aslan from Domaine d’Adeane (Cubi x Swan) won BEST OF BREED at the national dog show in Perpignan at just 11 months old under Mrs Thorpe judgement !!! Thank you Chloe for all the work you do with Aslan- our biggest Congratulations ❤️❤️❤️!!! http://www.kokayi.de/wp-content/uploads/2015/04/logo_trans_kl.png 0 0 Markus Groh http://www.kokayi.de/wp-content/uploads/2015/04/logo_trans_kl.png Markus Groh2019-02-05 19:00:222019-02-07 09:51:36Cubi’s son Aslan was on Fire in Perpignan with BOB ❤️❤️❤️!!! Cubi closed his 13th Champion Title ❤️❤️❤️ !!! Cubi’s Kids from last Litter with Huy’s Dogs ❤️❤️❤️!! !